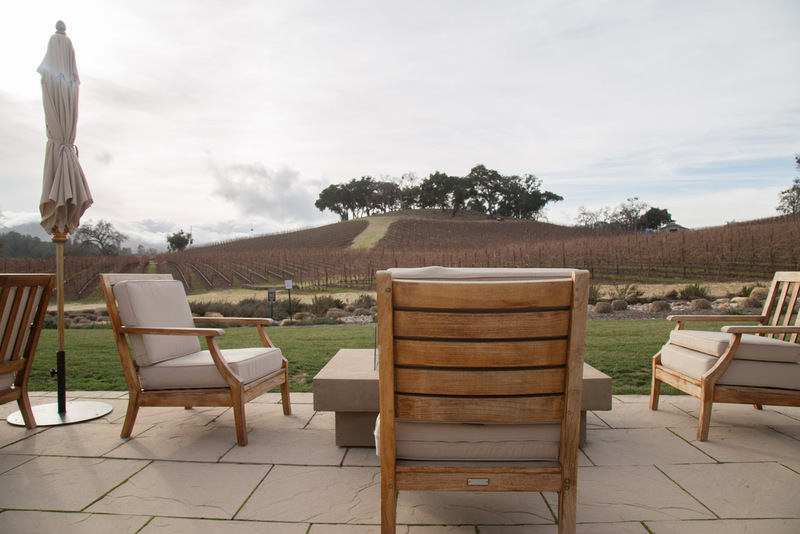 A weekend of wine tasting in Paso Robles, California is the perfect getaway. 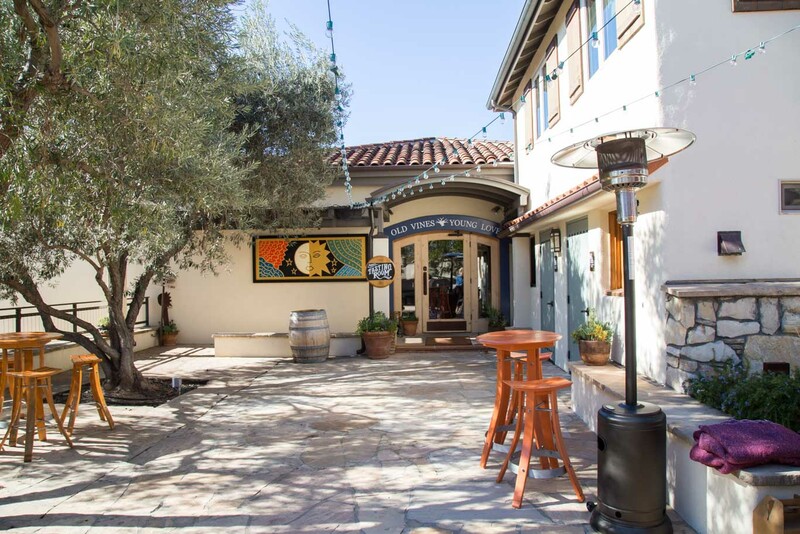 Located about halfway between San Francisco and LA, this charming town has amazing food and exceptional wine all served up in a friendly atmosphere. 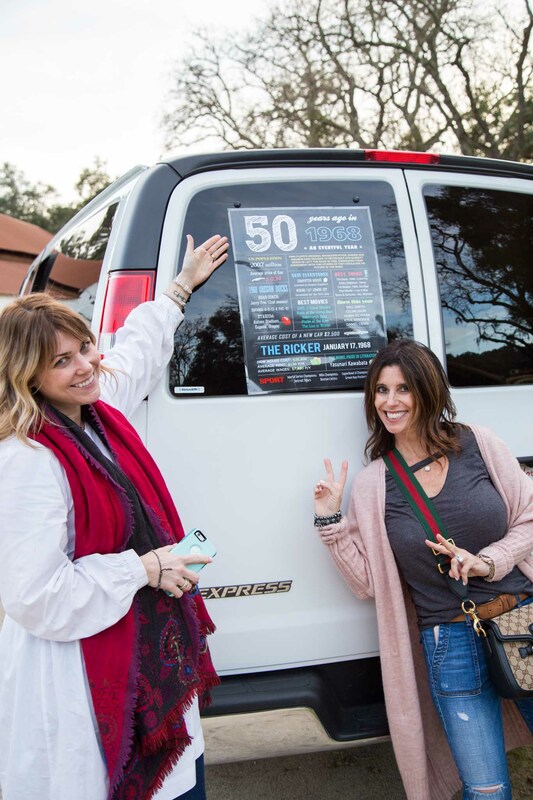 Paso was the perfect place to spend an extended weekend and celebrate Rick’s 50th birthday! 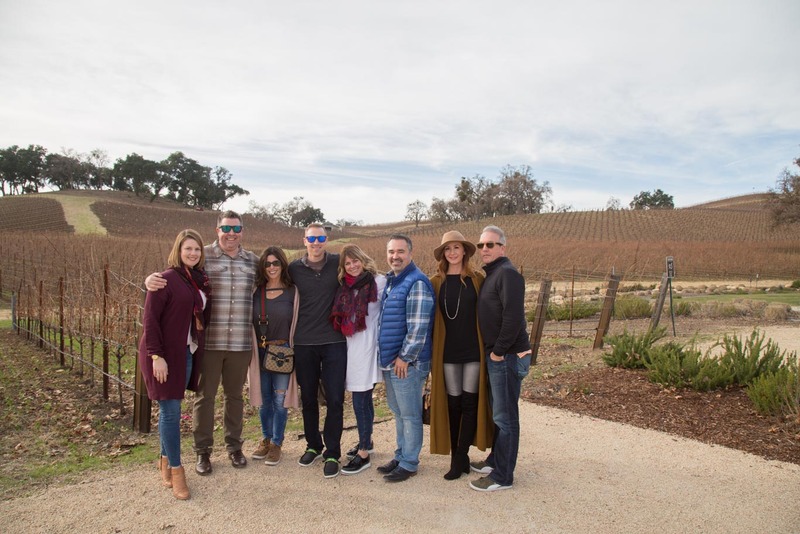 We invited our closest friends, some of which Rick has known since grade school, and I began researching the best places to eat, stay and sample wine. 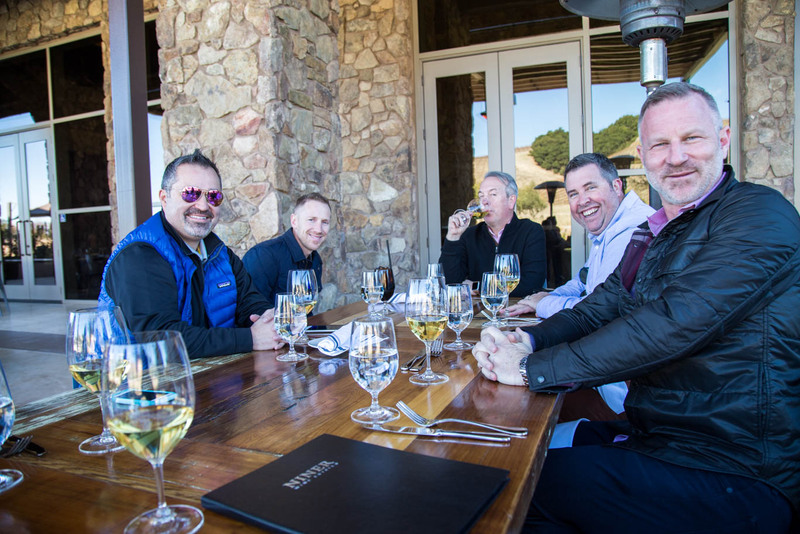 I do have to say that planning a trip with a group of 10 is a bit of a feat… You definitely need reservations, not only for dinner, but for wine tastings as well. Typically, whenever you have a group of more than 6, you’ll want to contact the winery ahead of time to be sure that they can accommodate you. That being said, all the establishments that we visited in Paso were more than welcoming and the people were just so friendly. We arrived on a Thursday and checked into our hotel first thing. I was so excited to see this place – Hotel Cheval! I’d heard amazing things from friends who had visited the area, and even saw a write up in Sunset Magazine. When I booked our trip, I knew we needed to stay here. With outdoor fireplaces to relax by at night, only 16 rooms, and amazing complimentary breakfasts served in the morning, the choice was easy. But what sealed the deal was the S’mores Sommelier. Each night, the s’mores cart comes around with a menu of s’mores to choose from, and they even toast your marshmallows for your! Our crowd favorite was the peanut butter s’more, but I think we sampled just about all of them. 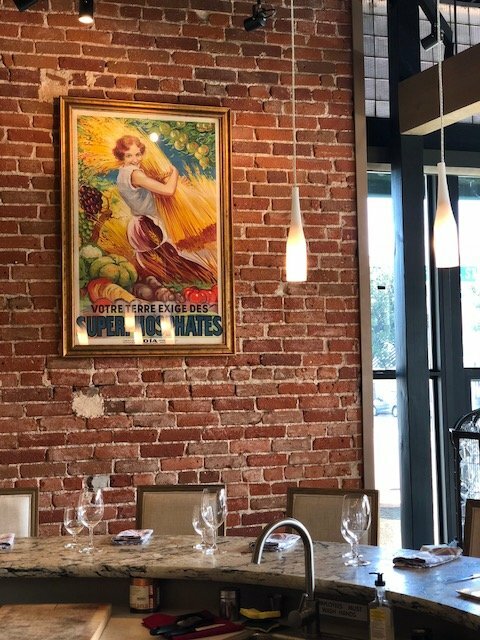 Our first stop in Paso was to Somm’s Kitchen, on the recommendation of the hotel. I’d also done a bit of online research beforehand and knew this was a spot I wanted to stop by, but I wasn’t sure if they could accommodate our large group. Luck be had, we popped in there on Thursday afternoon and Ian was there to greet us. Ian Adamo is a Court of Master Sommeliers Level III Advanced Sommelier and in his 4th year of the exclusive Institute of Masters of Wine program. But if that’s not impressive enough, let me tell you that this guy knows his food too. He seated us at the granite circular shaped bar (we took up pretty much the entire space) and asked what we were in for. Mentioning that we just arrived to town, and that we had lunch plans, but we’d definitely be up for some small bites and wine samplings, he got to work right away. 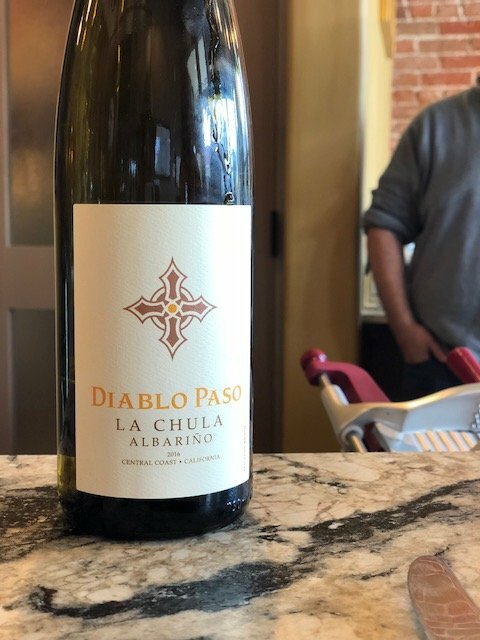 He started us off with a sampling of Albarino from the Paso region and then… the food came. foie gras with house prepared cherries and speck with parmesan, walnuts and balsamic, were the first courses. And then, once the Pinot was poured, a little bit of smoked duck that Ian flamed in front of us with a blowtorch. 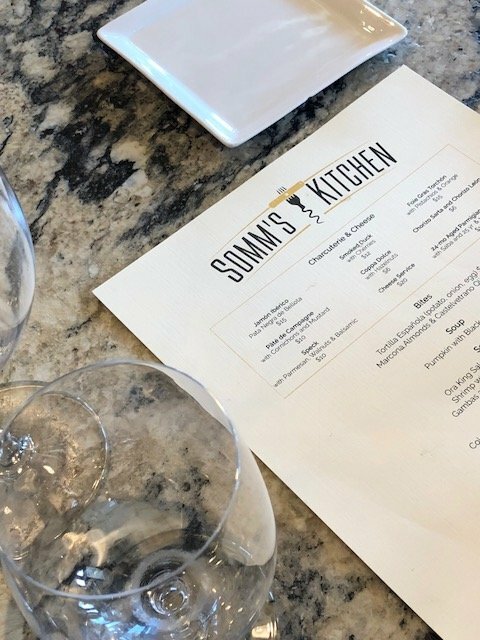 Honestly, I think we could have stayed at Somm’s Kitchen all day to talk with Ian and sample more of his amazing dishes, but sticking with our schedule we had to head to our next stop. Ian let us know on the way out though that every Saturday, he hosts a complimentary wine tasting class at our hotel. How cool is that? Love the small town feel of Paso, where it feels like everyone knows everyone. 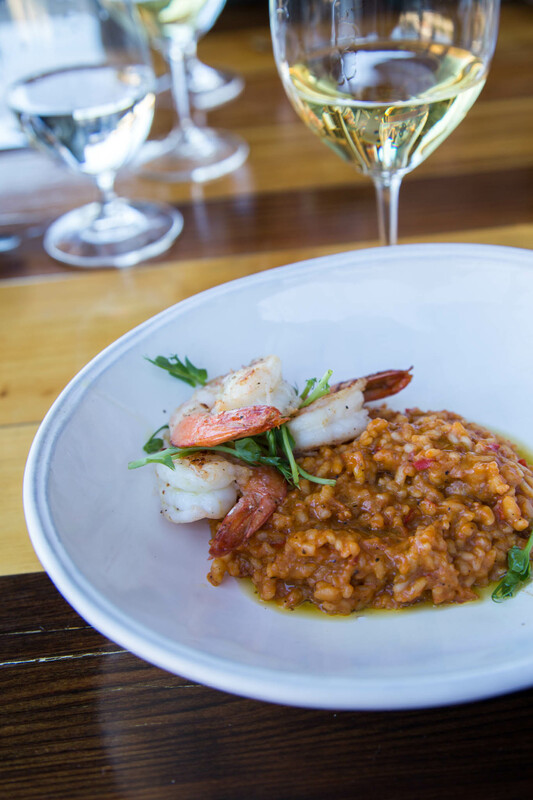 Onto our next stop – We headed for Justin Winery where we’d be having lunch. Justin is known for its Cabernet, so of course, we had to sample some with our lunch. Their Isosceles blend was really amazing, as were our dishes. 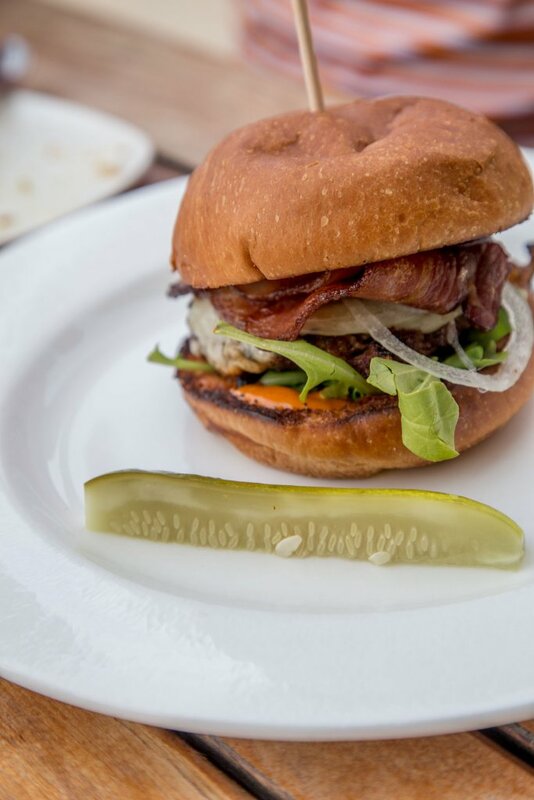 The shrimp with fried fennel and lemons was delish, and Rick enjoyed his bacon-topped burger quite a bit. All while soaking in the gorgeous setting, eating with the vines as our backdrop. 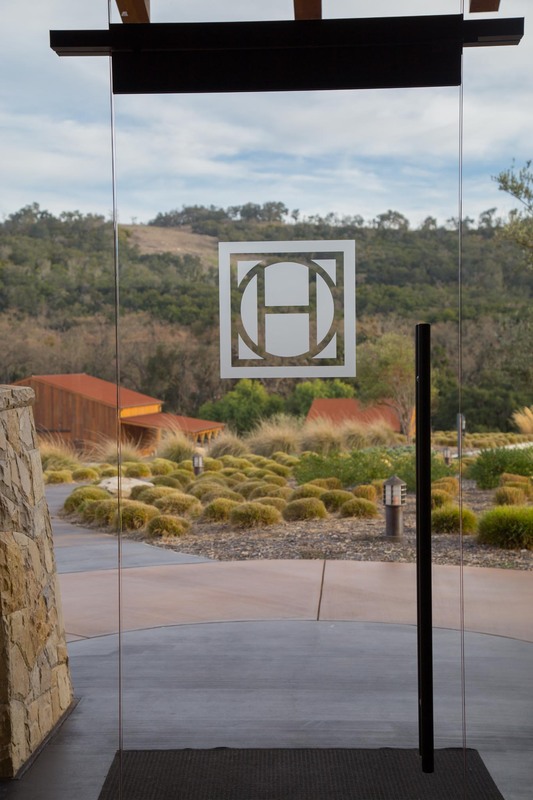 If we’d had a bit more time, I would have liked to stop in to their tasting room to sample some more wines, but we were off to our next stop, Halter Ranch Winery. I had no idea before we arrived that scenes from Arachnophobia were actually filmed at Halter Ranch. But, when we pulled in, the house definitely looked familiar I tried not to think about it too much… No one wants images of spiders spoiling their day of wine tasting. In reality, although the Arachnophobia house is on the property, the actual wine tasting is done in their beautiful tasting room just up the hill, past the covered bridge. 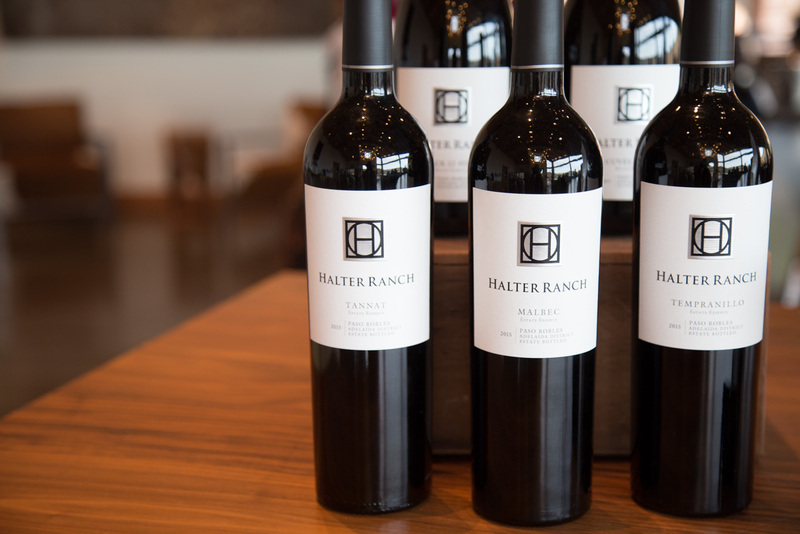 With sweeping windows, an expansive tasting bar, and patios which would be perfect for warmer days, Halter Ranch is definitely a beautiful location that I’d love to go back to. 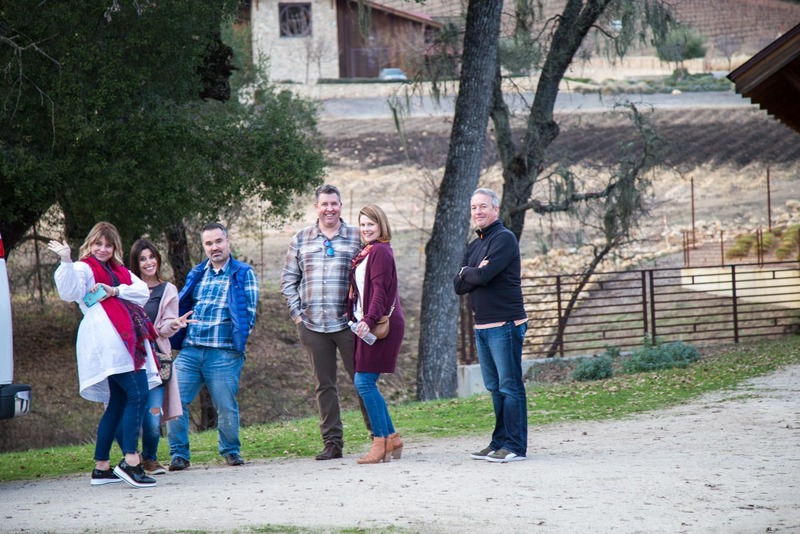 We took a bit of time to just hang out on the grounds and snap some fun group shots, and then we headed back to town to regroup before dinner. Perhaps the best meal of our entire trip was had at Il Cortile. Serving exceptional homemade pastas, fresh seafood and top quality meat, the service was spot on and the wine list was amazing. I’m a sucker for a wild boar ragu and I may have discovered my new favorite Chardonnay during our meal, a 2015 Daou Reserve from Paso Robles. Our day began with a round of golf for the guys and massages for the girls. Can I just go back to this point in time? Afterwards, the day was basically free for exploring. I’d heard some great things about Tin City and it sounded like lots of fun, so we made the quick 8-minute drive and checked it out. 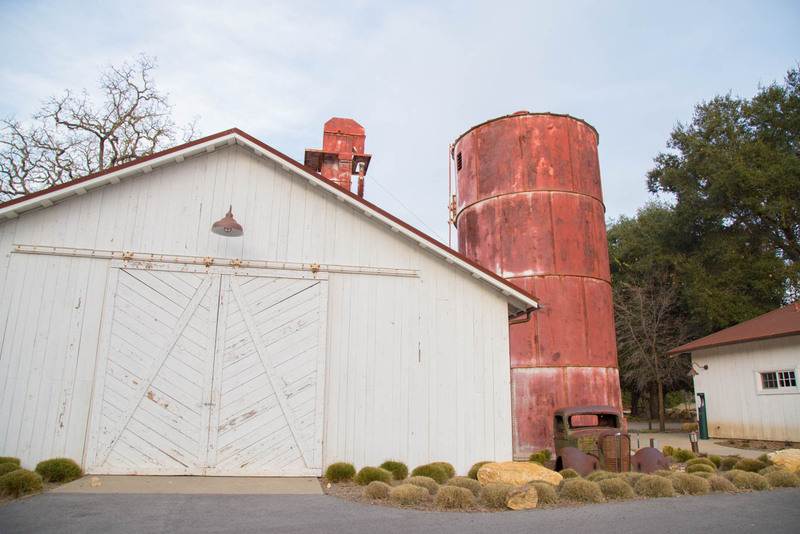 Housed in an industrial park and made up of tasting rooms created by independent artisans, Tin City is the place to sample wines from smaller producers, handcrafted ciders and craft beers. 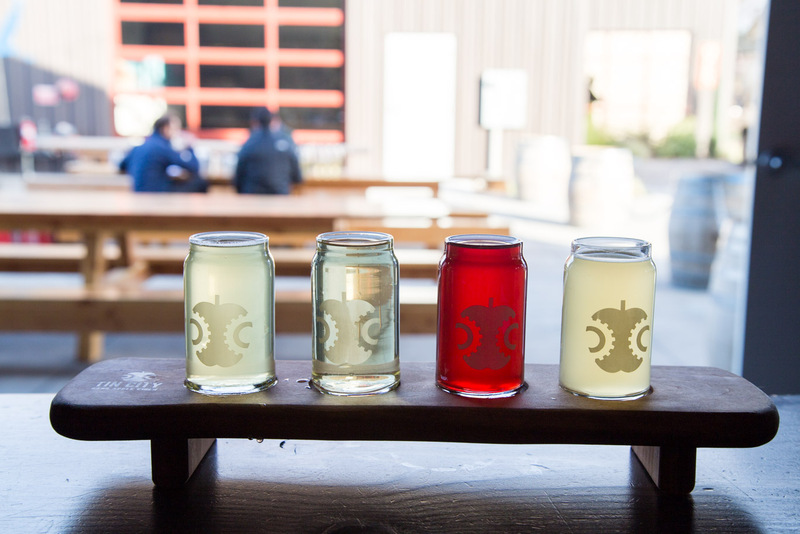 A flight of cider from Tin City Cider Co. definitely hit the spot and was a good way to break up our wine tasting weekend. After our dinner at Thomas Hill Organics we headed back to Hotel Cheval for some s’mores as we gathered around the fire and broke open a couple bottles of wine. On our final day of wine tasting in Paso Robles the sun was shining, and though it was a bit chilly, it was nice to soak in some Vitamin D before heading back to rainy Portland. Bright and early, we arrived at Turley Wine Cellars. 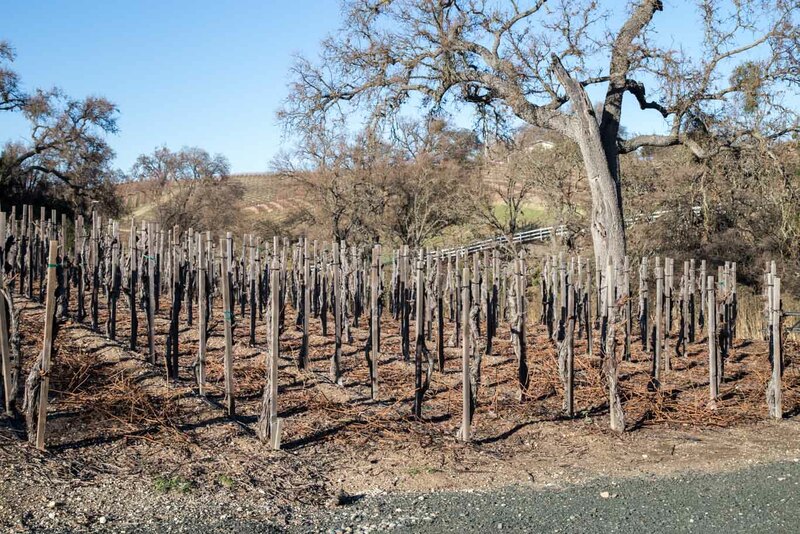 Known for their single vineyard designate Zinfandels, it was really interesting to go through the flight and figure out which were our favorites. I do wish however, that the lineup was poured side-by-side, rather than taste by taste. Overwhelmingly though, our group favored the Rattlesnake Ridge Zinfandel. 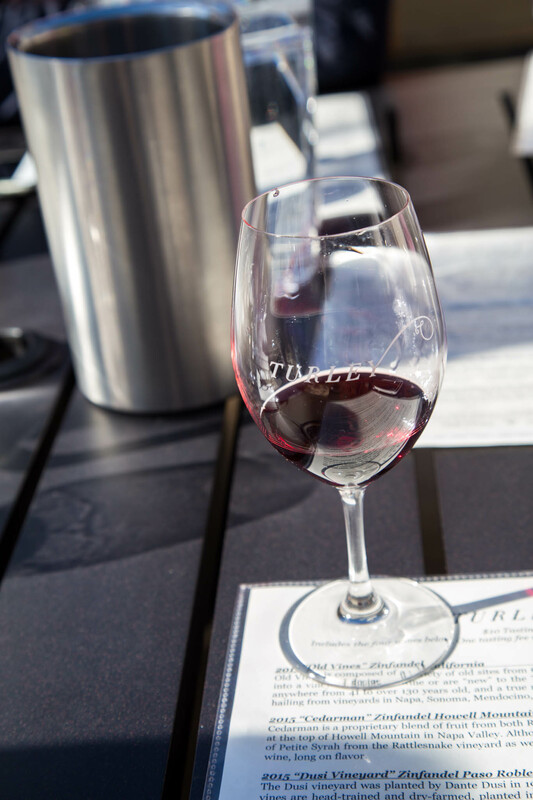 Regardless, although I’m not normally a Zinfandel drinker, each one of their wines was spectacular and I would definitely make a repeat visit to Turley. Lunch during our day of wine tasting in Paso Robles brought us out to Niner West Estate. We dined family style and enjoyed a few bottles of amazing wine with our meal. The standout was their 2015 Silhouette Du Coeur which we started our meal with. And, priced at only $20 a bottle, we were sure to bring a few home with us too! 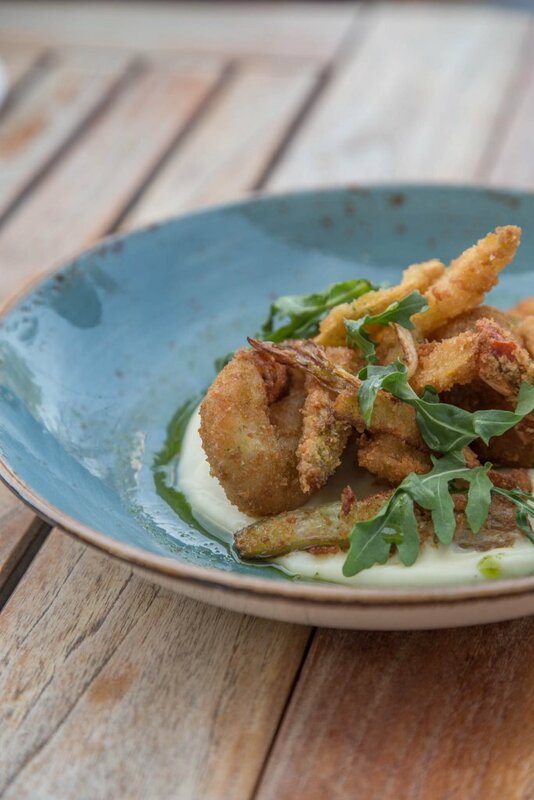 The food was spectacular – Starting with perfectly prepared shrimp over a bed of paella-style rice, followed by drool-worthy chicken and waffles, and then topped off with fresh beignets. Our stomachs were definitely happy. Not to be missed is the heart formation created by the trees at Niner West Estate. Definitely deserving of some photo ops. We ended at Treana Wines. Pouring an extensive lineup of wines and with a tasting room so delightful, it was the perfect finish to our day. For a change of pace, and escape from wine for a bit, we enjoyed dinner at Fish Gaucho. Serving upscale Mexican fare and craft tequila-focused cocktails, it’s an energetic atmosphere that’s perfect for celebrations. Happy 50th Birthday Rick – I hope it was one for the record books. 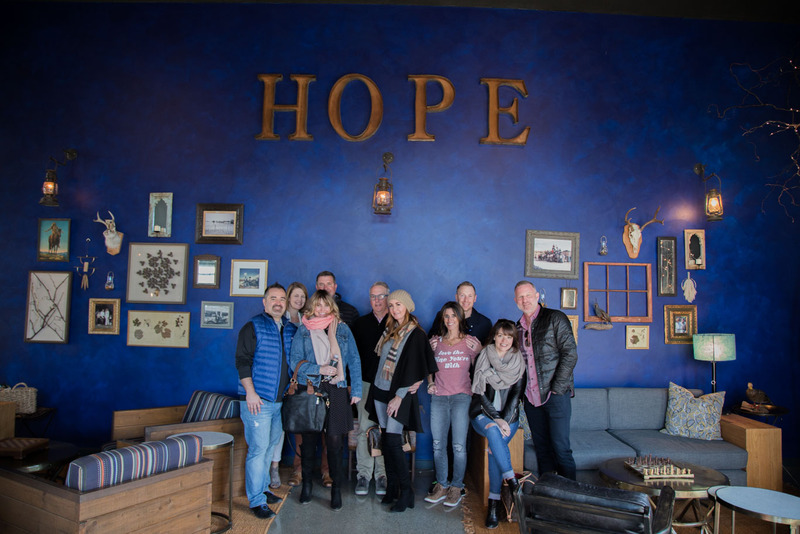 And thank you to our amazing group of friends, wine tasting in Paso Robles wouldn’t have been the same without all of you!!! 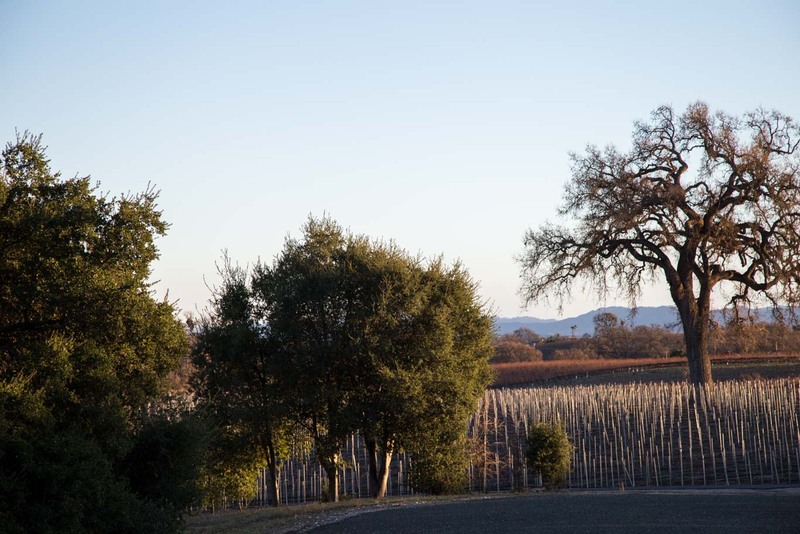 Look for more California wine regions to visit? 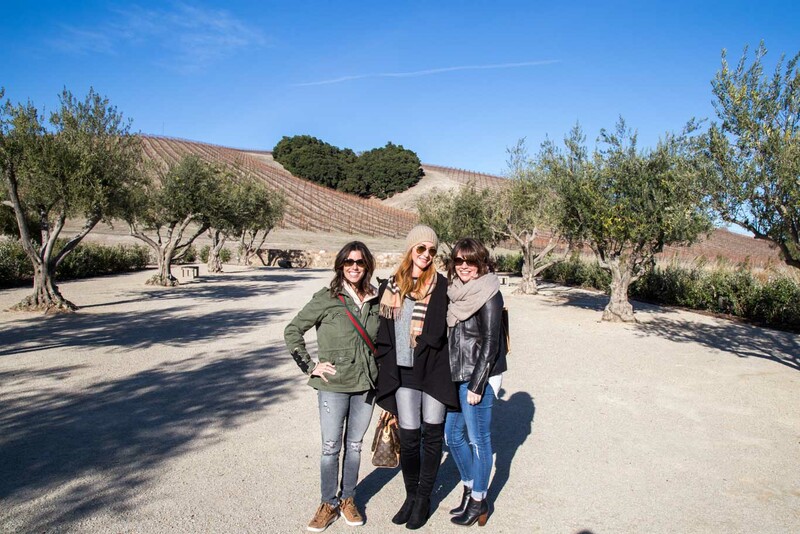 Be sure to check out all my California wine travel posts here. 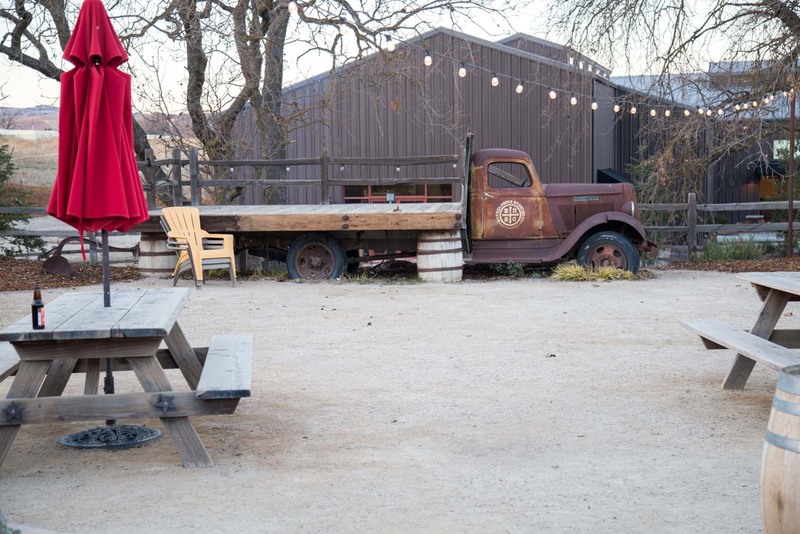 A special thanks to PasoWine for the great suggestions of places in visit in Paso Robles. I’m so impressed you researched and organized such an ambitious trip for that many people! Looks like it was a roaring success. It was so much fun – Thanks Catherine!